I have a special interest in William McGuffey because I (and my siblings) spent eight years in the McGuffey elementary school in Oxford, Ohio. The School is located on the campus of Miami University where my father was a professor from 1955 to 1985. McGuffey taught at Miami from 1826 to 1836 in the field of ancient languages (he arrived in Oxford “with his personal copies of Livy, Horace, Memorabilia, and the Greek and Hebrew texts of the Bible in his saddle bags”). McGuffey was also an ordained Presbyterian minister and often filled pulpits throughout his teaching career. 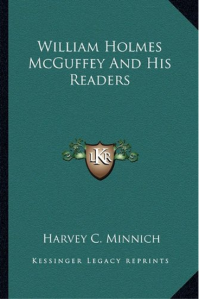 Of course, McGuffey is best known for his Readers. Though they were a more rural version of the older New England Primers, they were so filled with Scriptural references and applications that it is hard to compare them to school texts today. The fact that almost all mid-west and western school houses used his Readers attests to the loss American education has suffered by eliminating references to God or the Bible.